It’s the first of its kind in India. Not a basic Barista espresso bar, it’s a diner that serves scrumptious food all day long. 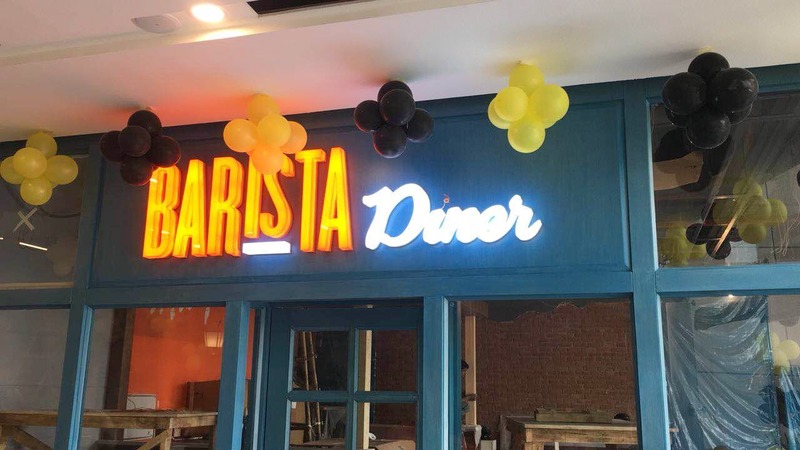 Barista Diner opens up early in the morning with its live kitchen and good options on the breakfast menu including eggs, croissants, pancakes and waffles to choose from. Apart from the breakfast, they serve delectable fusion Italian, Continental, Indian, and Oriental dishes along with extended options in the beverage menu. The food is not only delicious it's also light on the stomach. Chicken keema bruschetta and bunny chow are my go-to from the Continental list and everybody's all-time favourite - chicken biryani. Talking about the ambience of the place, it’s light and cheery, with an option to sit and have a smoke with your coffee on the balcony or spend some alone time with your book buddy or even use the free wifi and work while you relish the food. The staff here is welcoming and always smiling. Sometimes the diner also surprises its guests with live singing performances and karaoke sessions, now how cool is that? No wonder, it is getting popular by the day amongst the locals.